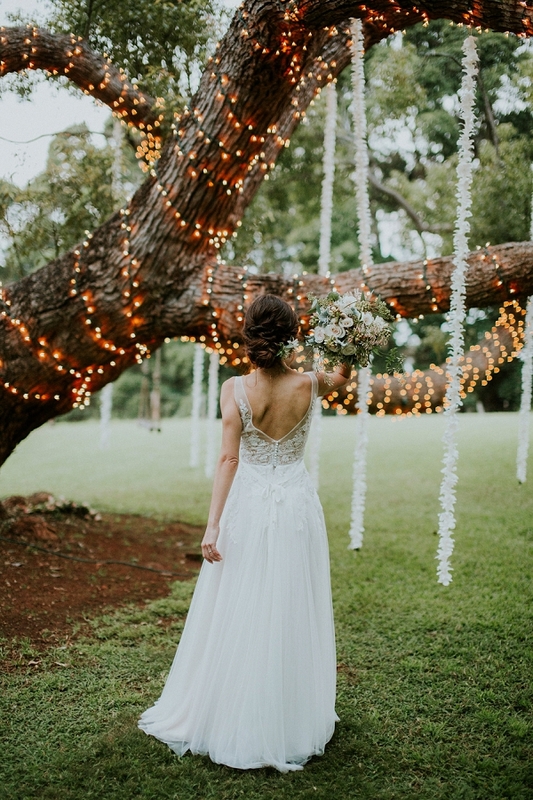 It’s hard to imagine a celebration more romantic than a cozy, intimate affair unfolding in picturesque Maui, complete with twinkle lights, tropical garlands and a garden wedding ceremony. 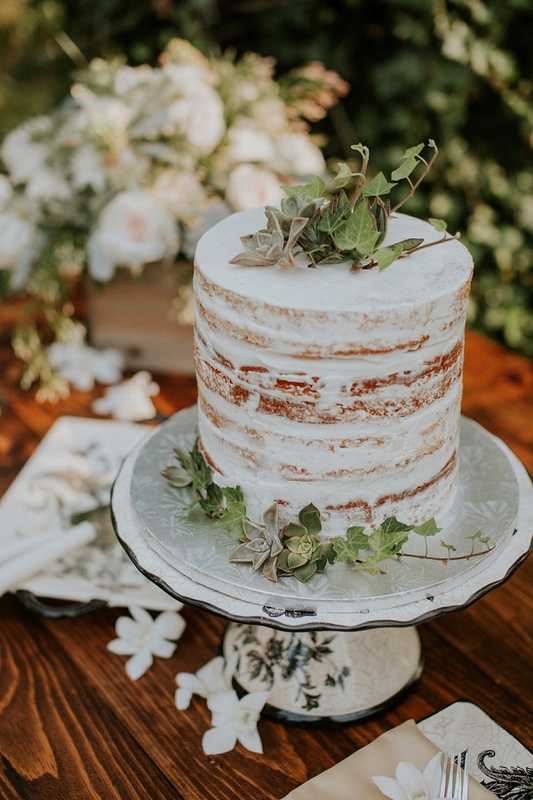 With the help of Bliss Wedding Design & Spectacular Events the bride and groom saw their vision for an effortless, rustic celebration, surrounded by friends and family, come to life. 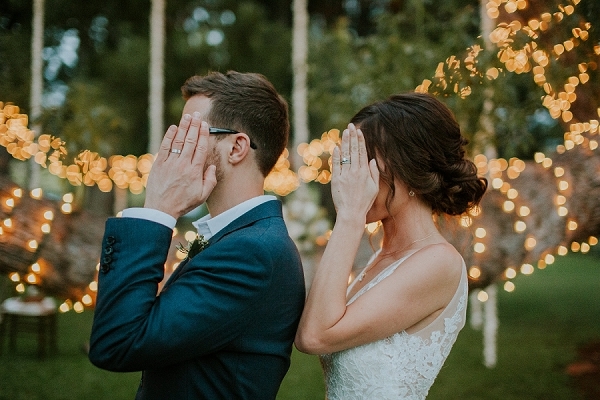 Couple Cups Wedding Photography was on hand to document the joyous event and we couldn’t be more spellbound by each and every moment! 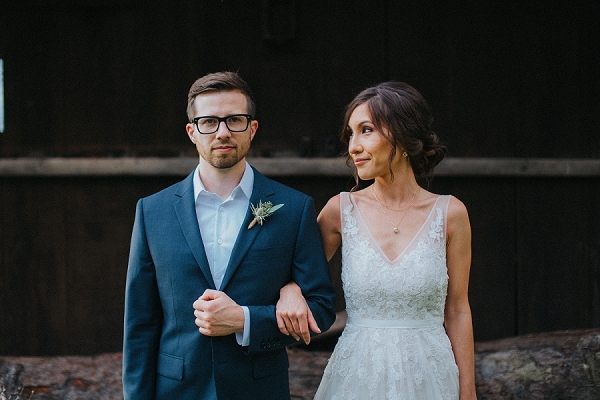 From the bride: I guess you could say we’re the definition of love in the modern age. 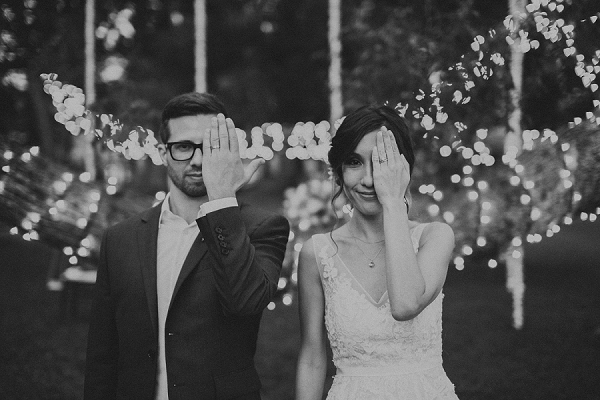 We met online and got to know each other on our first date over tumblers of whiskey on a cold December night in Harvard Square. 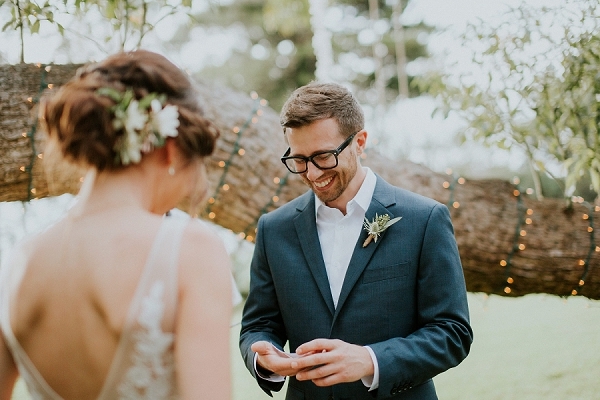 After meeting that first time, the obvious conclusion was that the dating algorithms were pretty accurate after all! 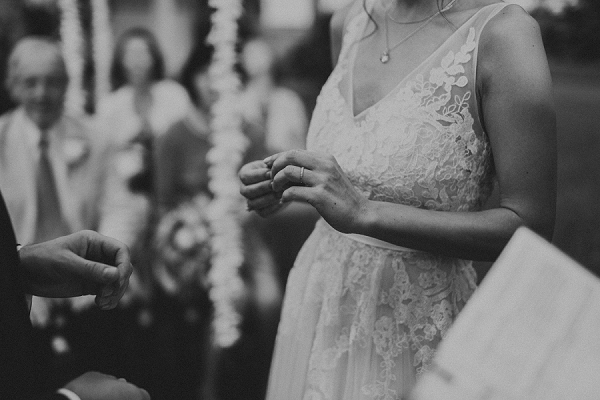 We got engaged on the evening of Thanksgiving in the ancient city of Matera in southern Italy, where we were staying in a ‘cave hotel’, formerly an ancient cave dwelling! 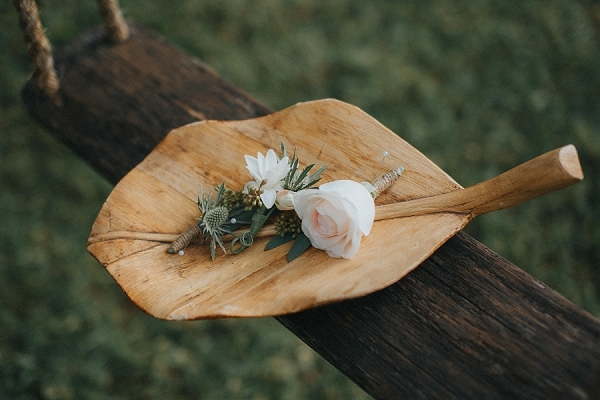 We live on the East Coast but have family in Japan. 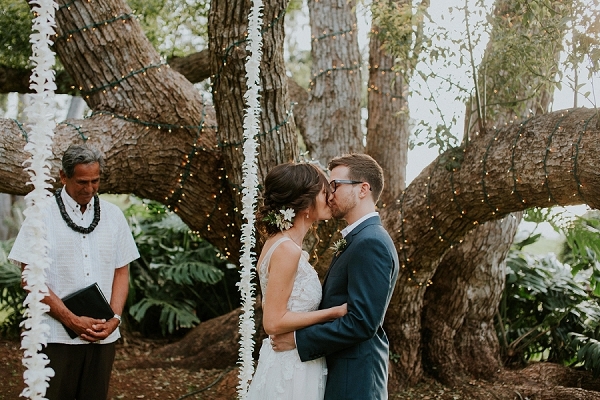 Maui was the perfect (and most beautiful) spot to meet in between for our wedding. 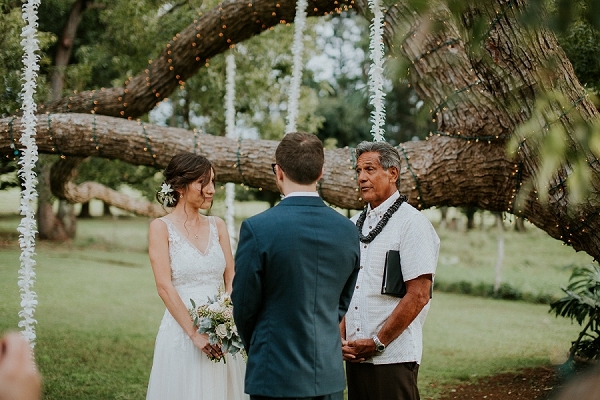 We envisioned a rustic and simple wedding, celebrating the beauty of Maui’s green rolling hills and the ocean, which you could see from the lovely wedding venue, Ka Hale Olinda. 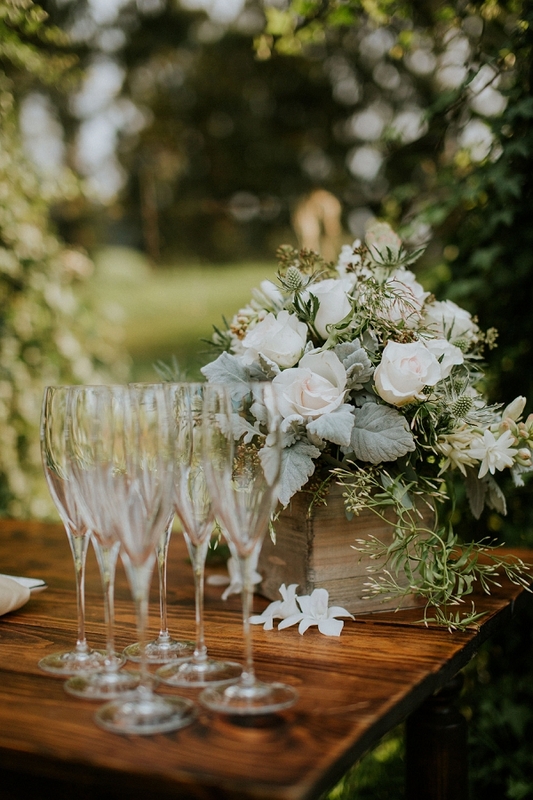 The flower arrangements were created by my awesome sister-in-law, who used to work as a floral designer in Brooklyn, NY. 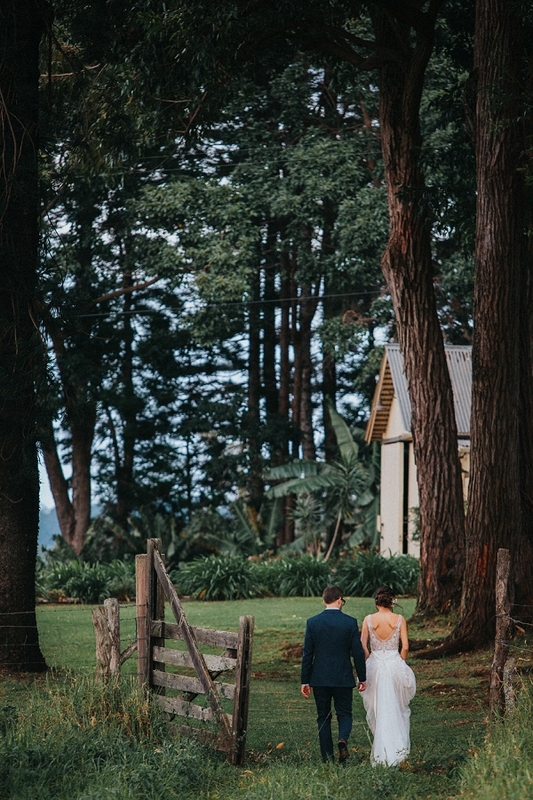 It was such an incredible day-absolutely memorable and beautiful! 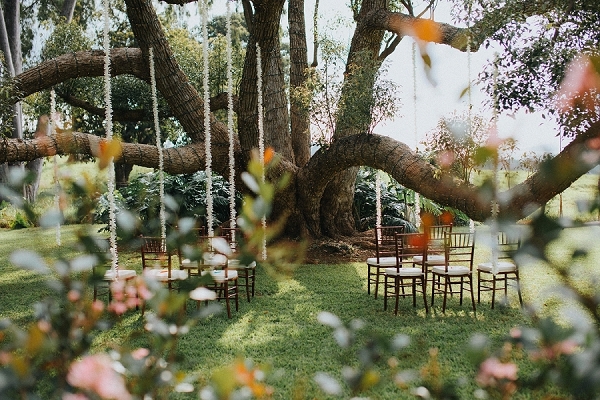 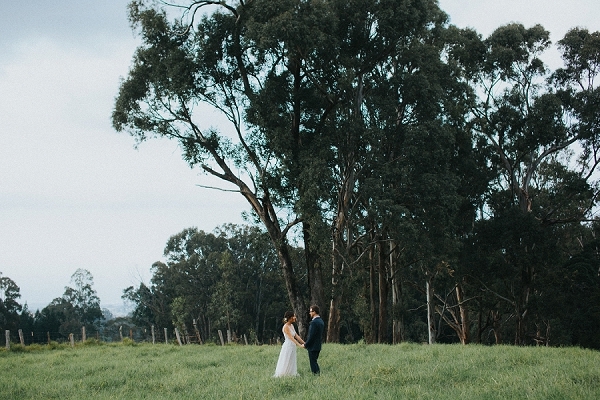 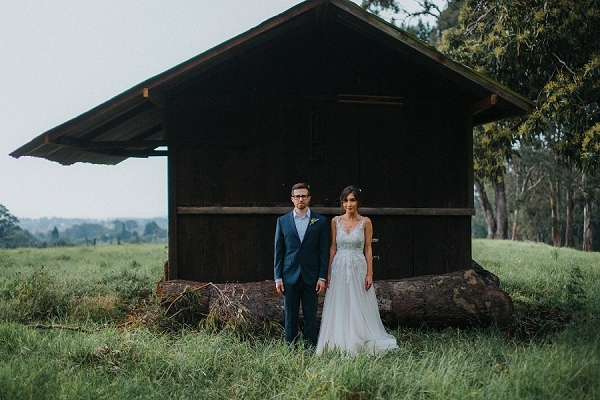 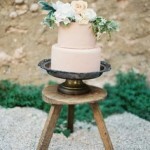 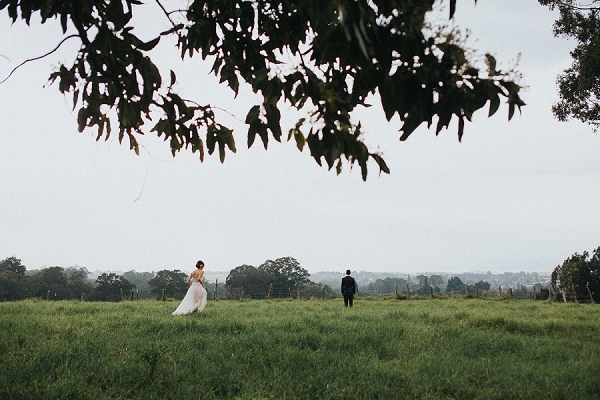 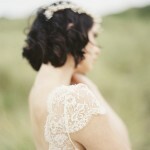 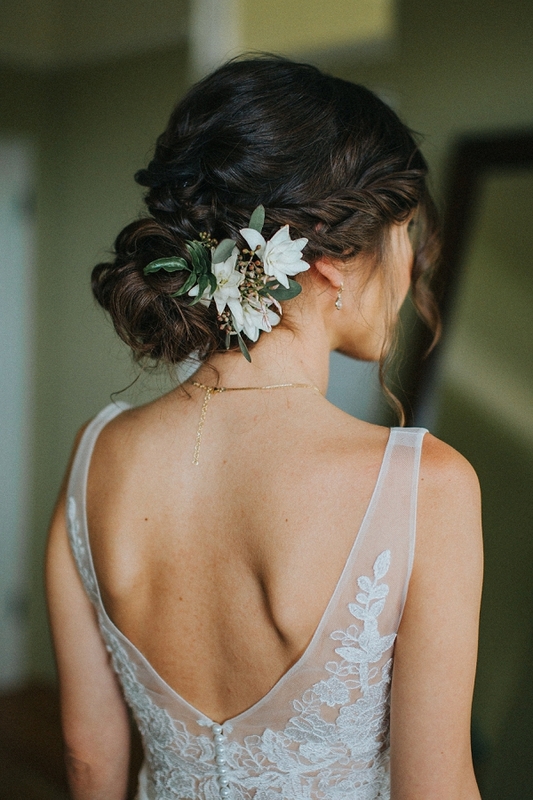 From Bliss: This dreamy wedding was out of a fairy tale. 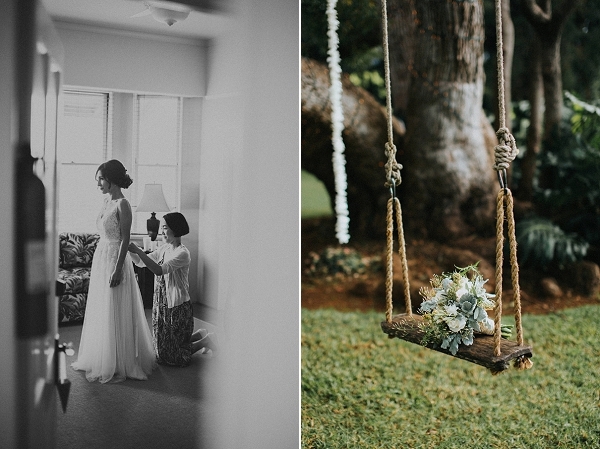 Emily and Damon said their vows under branches wrapped in twinkle lights and dripping with sweet smelling orchids at the picturesque Ka Hale Olinda. 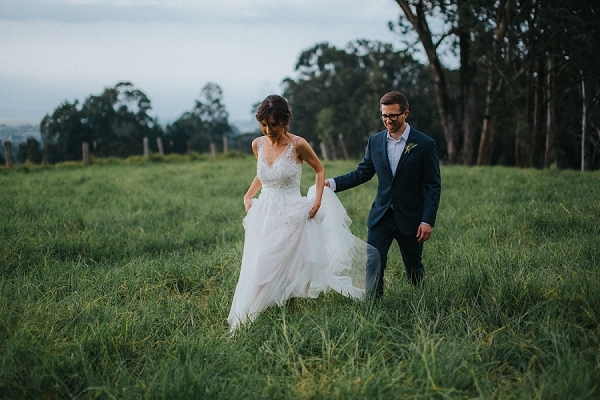 Their rustic wedding nestled in the foothills of upcountry Maui was the perfect way for this sweet couple to celebrate their love. 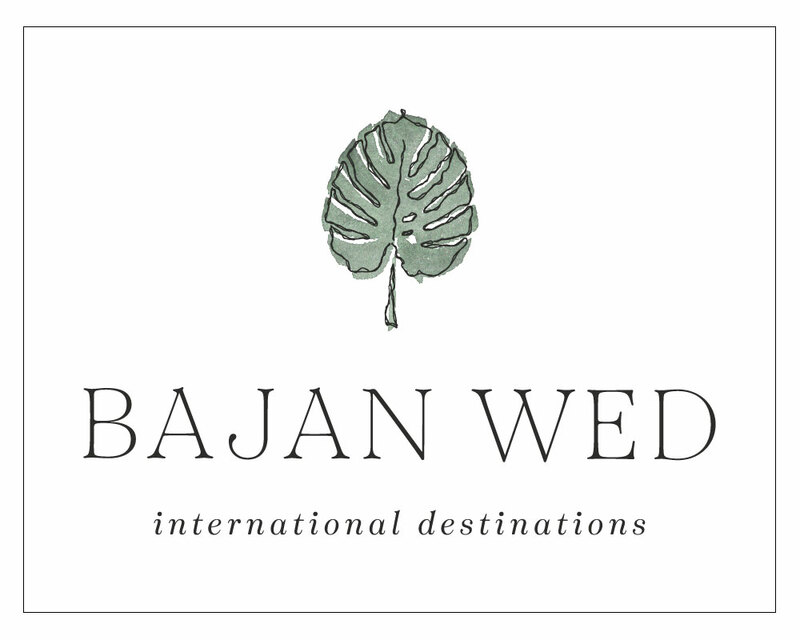 With guests from both Japan and the East Coast, choosing to have a destination wedding in the middle of the Pacific Ocean was an ideal choice and an exciting excuse for a vacation in paradise. 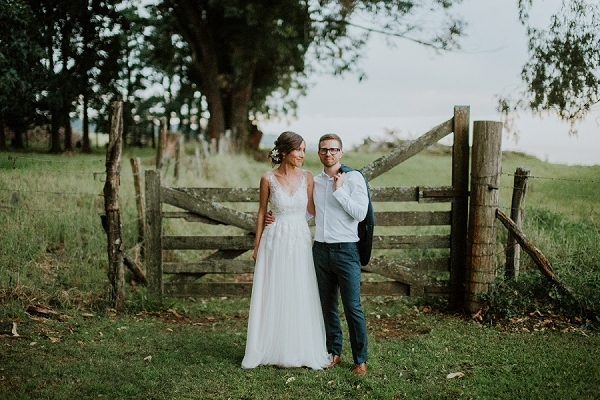 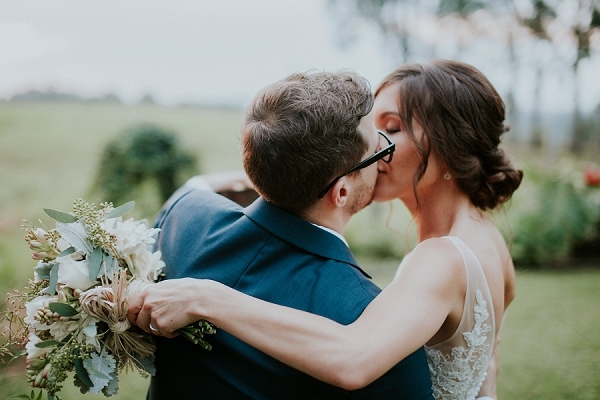 Emily was an absolute vision in her BHLDN lace wedding dress while Damon was the epitome of a modern-boho groom in his customized Indochino dark blue suit. 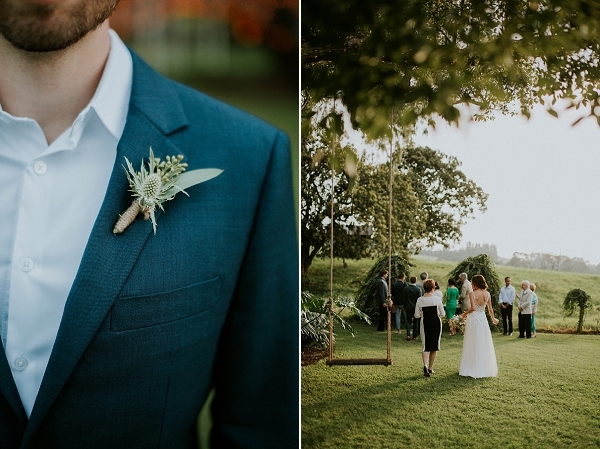 The mossy-green and ivory florals courtesy of the groom’s sister accented the elegant naked wedding cake by Ghiselanie Designer Wedding Cakes as well as the bride and groom in the form of a gorgeous bouquet and boutonniere. 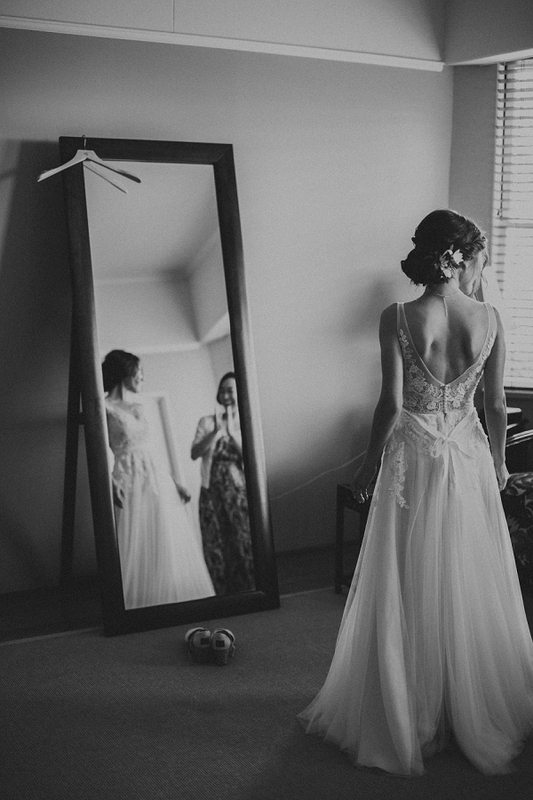 We are so grateful that Couple Cups Photography was there to capture every charming detail and heartfelt emotion. 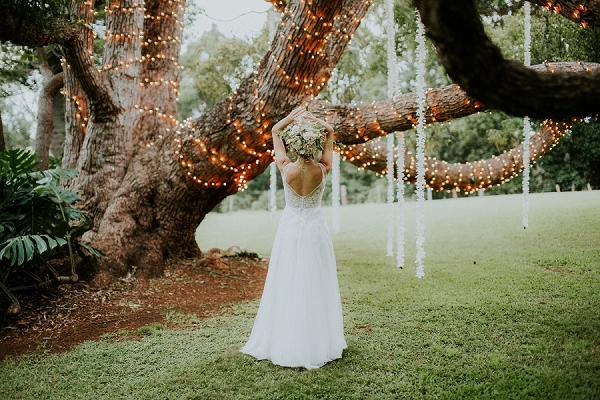 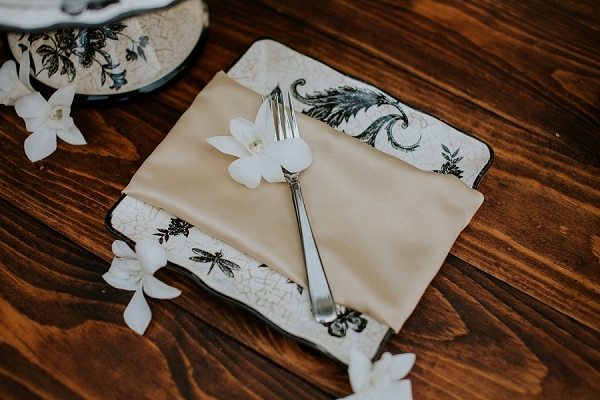 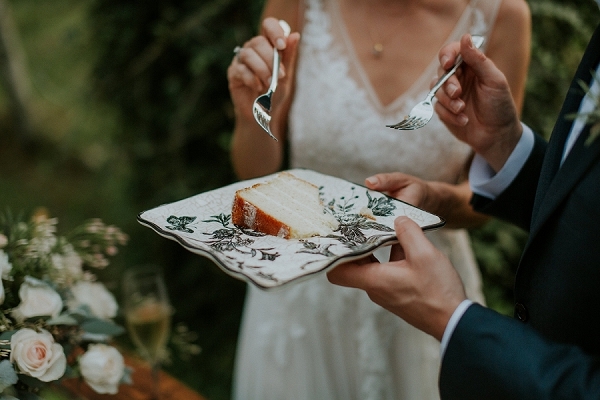 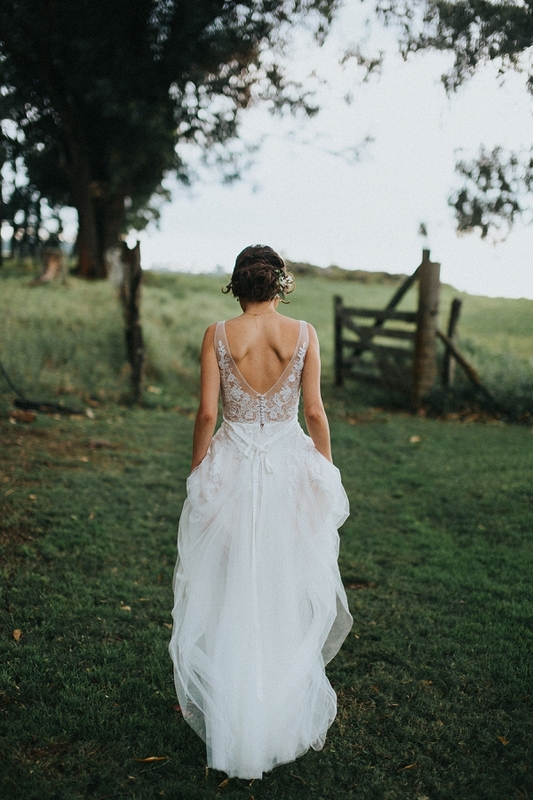 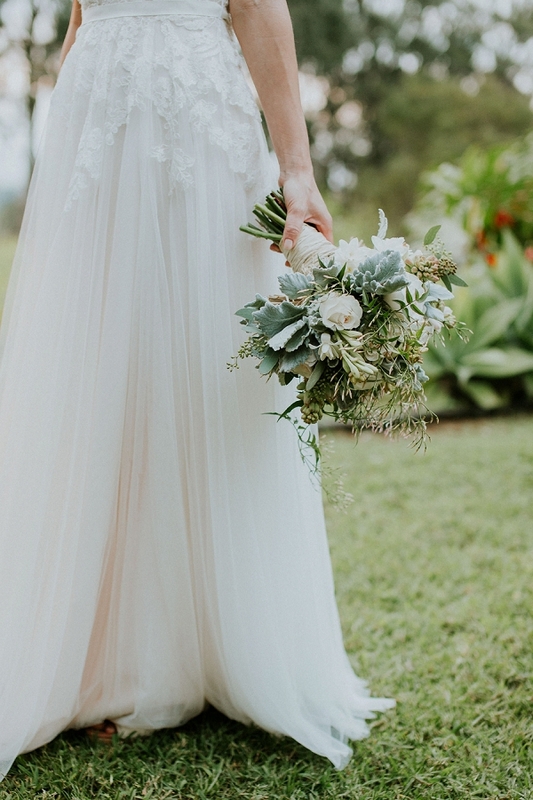 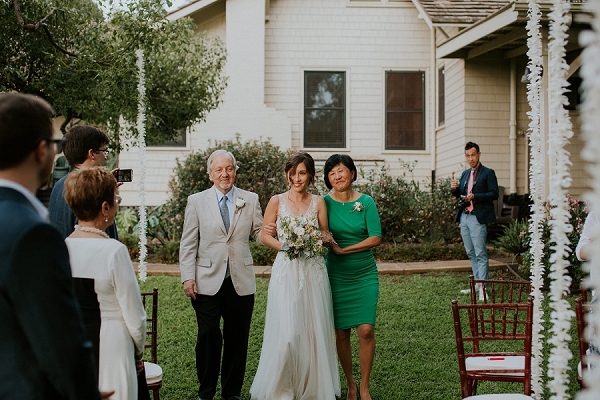 Mahalo for putting our rustic Maui countryside wedding in your beautiful spotlight! 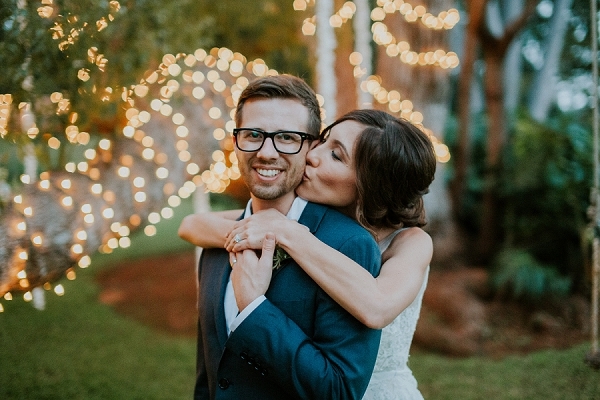 We loved getting to know this amazing couple and helping them create their dream wedding!